Having a sturdy and stable roof over the head gives a great sense of security. It is always an unpleasant feeling when we find that the roof of the house is not properly managed or maintained. The roof is required to be repaired at the earliest if there are signs of damages. Different kinds of damages are acquired by the roof. It is to be remembered that roof has to deal with UV rays of sun and moisture during the rain. When moist roof get exposed to the bright sun, furthermore damages have been caused. Small as well as large cracks could be visible in concrete roofs due to this reason in the time of construction. Apart from those cracks, many other signs of damages are there indicating that you need roof repair service at the earliest as possible. Before going for the maintenance or repair or renovation of the roof, one should know a few things with perfection. Every house owner should have a proper idea about the following roof related facts. Knowing these facts will help the homeowners to take the best suitable decision for their roofs. Ignoring the roof cracks and other visible signs of damages is not the best thing to be done at least. If you find an even tiny crack on the roof, you should start planning for its repairing. Before it gets damaged too severely, you should conduct the repairing. It will eventually save time as well as money for you. A completely damaged roof would require high expenses for renovation. Nevertheless, it will be a time-consuming job. Things will be more convenient for you when damages are minimal. The concrete roof needs periodic repair as well as maintenance. If not maintained properly, the concrete roof can be damaged severely. Another notable thing is that concrete roof can be damaged due to heavy rainfall or snowfall. So, right after the rainy season or snowy winter season is over, you need to inspect the roof carefully. If there are visible signs of damages, you need to conduct the repairing work soon. Instead of a concrete roof, if you have other kinds of roofing materials, you should also conduct a periodic inspection for the roof. Proper inspection, conducted by the experts, will help to achieve the right result. You shall get a detailed and accurate report on the health of the roof, and you can conduct the repairing job accordingly. Drainage on the roof should be perfect otherwise clogged water can cause serious damage to the roof which can lead to overall damages to the building structure. Clogged gutter on the roof also causes mould creation. Formation of the mould is a common thing for those who have a concrete roof-based home. Moulds are formed with other types of roofs as well, though they are more visible in case of the concrete structures. There is no way to take mould formation lightly, as it shows that your roof is severely damaged. Soon, you shall find that the paint is coming off from the roof. Nevertheless, mould starts creating ugly patchy marks on the roof. Mould can be harmful to the dwellers of the house, as they can cause asthma and lung-related complications. The key to stopping the formation of mould is to keep the gutter clean perfectly. Make sure that you have perfect water draining system on the roof. If there is no draining system, you need to have one so that water can easily get released. Some signs perfectly indicate that your roof needs to be renovated at the earliest as possible. Now, we all know that different kinds of roofing materials have been used for building the roofs. Among various kinds of roofing materials, there are common types, like concrete, metallic, asphalt shingles, etc. Based on the material of roofing, different kinds of signs for roof damages have been noticed. Commonly, asphalt shingles can be found cracked and partially damaged. Cracks and mould formation are the common signs of damages for the concrete roofs. 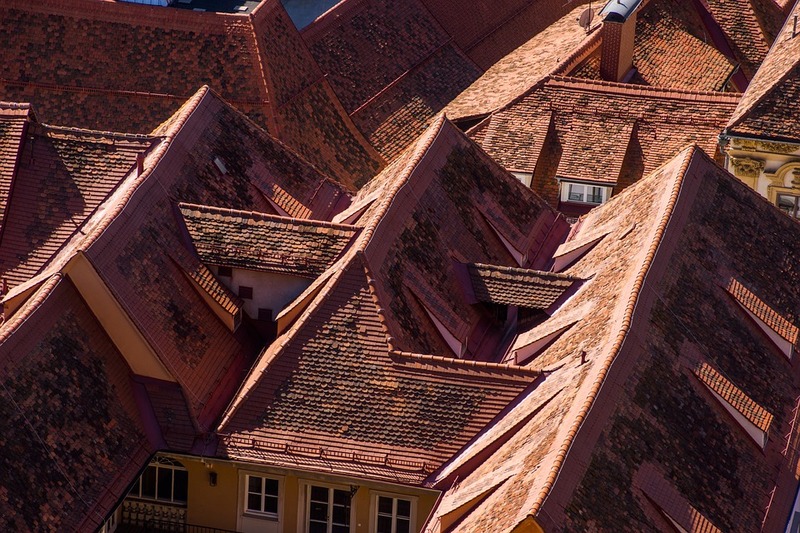 Metallic roofs can get rusts, which are clear indications behind roof damages. Sometimes, you may not understand the damages to your roof, and thus you need the help of the experts. It is always recommended to the house owners to conduct house inspection on a regular basis. At least once in 3 to 4 years would be a great thing. The inspector will check the roof and provide a detailed report. You can be able to understand the health of the roof with precision. This will help you to decide on the renovation. Based on the intensity of the damages, you can decide on conducting immediate repairing or renovation after some time. The home inspector would also provide you consultancy service in this matter. The replacement cost can be saved if proper maintenance and care are taken. This can also help in extending the life of the roof. Roof restoration and renovation are known for being smart economic decisions over the roof replacement service. If the restoration and renovation services are done after a regular interval of time, they can ensure the longevity of your roof for the years to come. At the same time, protection is also guaranteed, thus controlling the maintenance cost. Roof renovation service is also an eco-friendly alternative and can help with energy savings. Lastly, it can be concluded that roof replacement should always be the last resort after the evolution of several reflecting elastomeric coatings for the restoration of single ply roofing membrane, metal roofs, smooth surface Asphalt roofs, and modified bitumens. What are the benefits of breast restoration? What is meant by customized restoration and renovation services? Customized restoration and renovation process are provided by the company according to the condition of the present roof. The problems are detected by the experts,and customized plans are provided to the clients accordingly. Waterproofing the roof is one of the best ideas to ensure the longevity. How the room renovation and respiration process work? All the seams, blisters, cracks, leaks and flashing are properly repaired with elastomeric roof coating, fabric, and caulk. What are the advantages of applying a new coating on the current roof surface? Why should one go for annual roofing service contract? You can go for making a contract with one of the best roofing service providers in your locality. This can ensure immediate services whenever required. Having an annual contract means there is no need for you to worry about the yearly roof maintenance and inspection services. The company will call you to schedule an appointment date to execute the services. They will completely take away your headache, and you can simply sit back and rest. With the annual contract, the company will have to pay for the damages it covers. So, they will try their best to ensure that your roof is always in better condition. This will ultimately help them to save their money on repairs as well as reduce your headache. How many inspection services are required every year? It is always better to opt for two inspection services in a year. This can ensure your roof to be in proper condition for minimum the next 20 years. Also, if you need to undergo any major services, always make sure that you use quality materials. Avoid using patchwork because it will simply make matters worse in the years to come. And, if the condition goes beyond repair, it will lead to roof replacement. Get in touch with klausroofingcolorado.com for affordable roofing services. To know more about roofing materials, inspection service, restoration and repairing, etc, you can stay in touch with us. Our experts can provide you with complete roofing details in the form of blogs and articles. Subscribe to our channel today to get the latest updates.